Arguello is located in the historic Presidio Officers’ Club as a multifaceted cultural destination. It features Mexican cuisine capturing the cultural heritage of the Presidio and a contemporary bar with craft cocktails. A heated patio provides a comfortable way to enjoy outdoor dining in the Presidio and features accents that connect today’s experiences to the historic Presidio, including an outdoor comal (griddle) for tortilla making. The restaurant is named after Luis Antonio Arguello, who served as commander in the Presidio from 1806 until 1822 when he became the first Mexican Governor of Alta California. 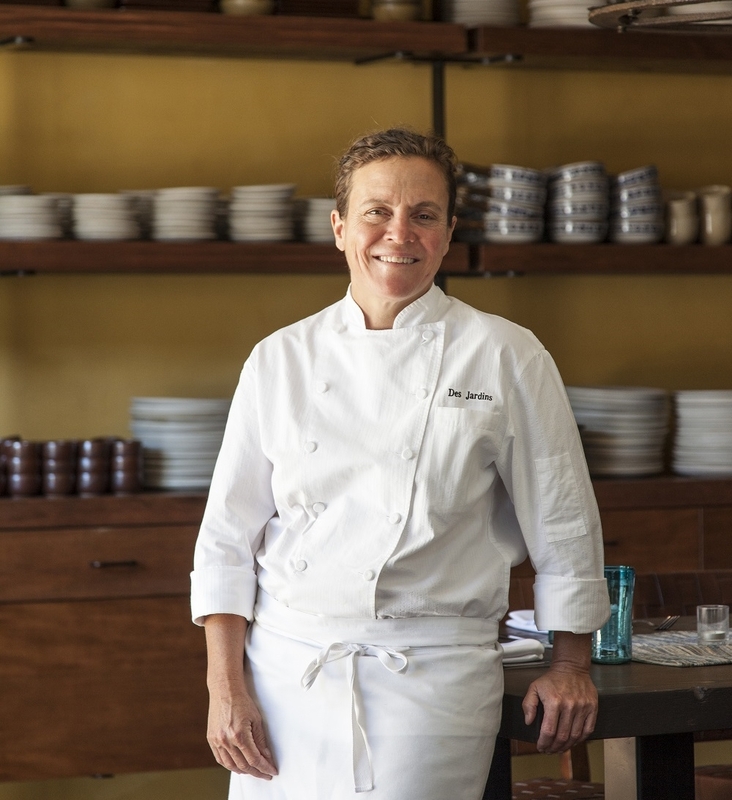 Chef Des Jardins has been a force in the San Francisco food scene for more than two decades. She runs a diverse group of restaurants in San Francisco, including: Jardinière, Arguello, The Commissary, Mijita Cocina Mexicana, Public House and TRANSIT. She is a dedicated philanthropist, sitting on the board of the local non-profit La Cocina, and has been a longtime supporter of the farm to table movement and sustainability. She has won numerous awards from national and local magazines and the James Beard Foundation. Lewis began his culinary career at the California Culinary Academy in 1992. A chance meeting with acclaimed chef Traci Des Jardins at a wine auction initiated an enduring professional friendship that landed him at Rubicon, where Des Jardins was the opening chef. Lewis’ career also includes lengthy tenures at Boulevard, 42 Degrees, The Village Pub, and at Des Jardins’ Jardinière—where he was Executive Chef for five years. During that time, he netted a StarChefs.com Rising Stars Chef Award and three and a half stars from the San Francisco Chronicle. Before joining Des Jardins at the Commissary, he worked with Bon Appétit Management Company leading a chef team operating eight restaurants at Oracle Headquarters. Once the most distinguished Army post in the American West, today the Presidio is a new kind of national park. Visitors are discovering the Presidio in ever-increasing numbers. The park hosts dozens of public events including nature hikes, art and history exhibitions, and festivals. The Presidio is home to spectacular open spaces and historic sites linked by a 24-mile trail network. Its community includes residents and dozens of organizations welcoming the public with activities and services. The Presidio Trust is an innovation in the management of a treasured American destination. The Presidio Trust recently completed a three-year revitalization of the building, transforming San Francisco’s most historic structure into a multi-faceted cultural destination. The updated Presidio Officers’ Club serves as a dynamic cultural center that reflects the diversity of the Bay Area and offers exhibits and programs that help visitors establish a deep understanding of the Presidio’s vital role in shaping California and the nation.